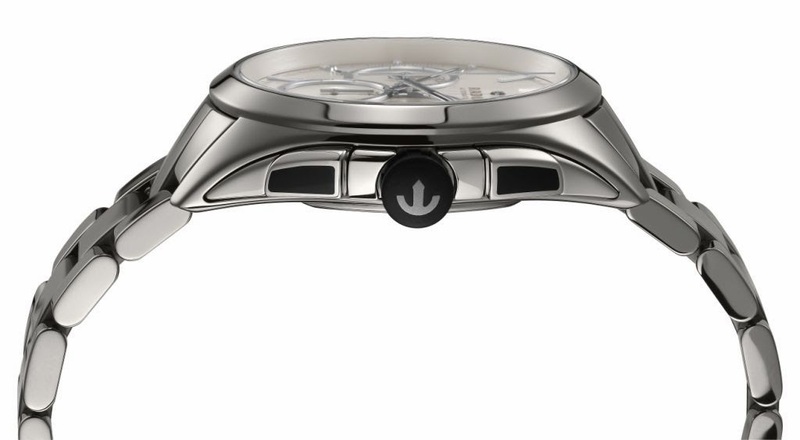 Using modern and advanced materials technology Rado took a finished, polished monobloc white high-tech ceramic watch case, and individual bracelet links and subjected them to plasma treatment. The result is a collection of individual perfect pieces which now have a unique warm grey metallic shine. It may look like metal, but there is no metal involved at all. 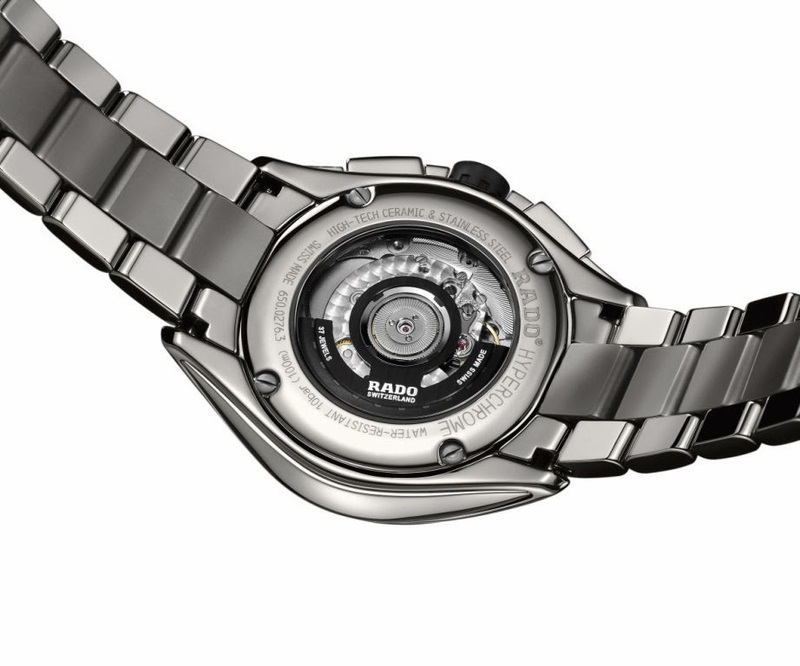 The plasma high-tech ceramic is 100% ceramic, 100% innovative and 100% Rado. 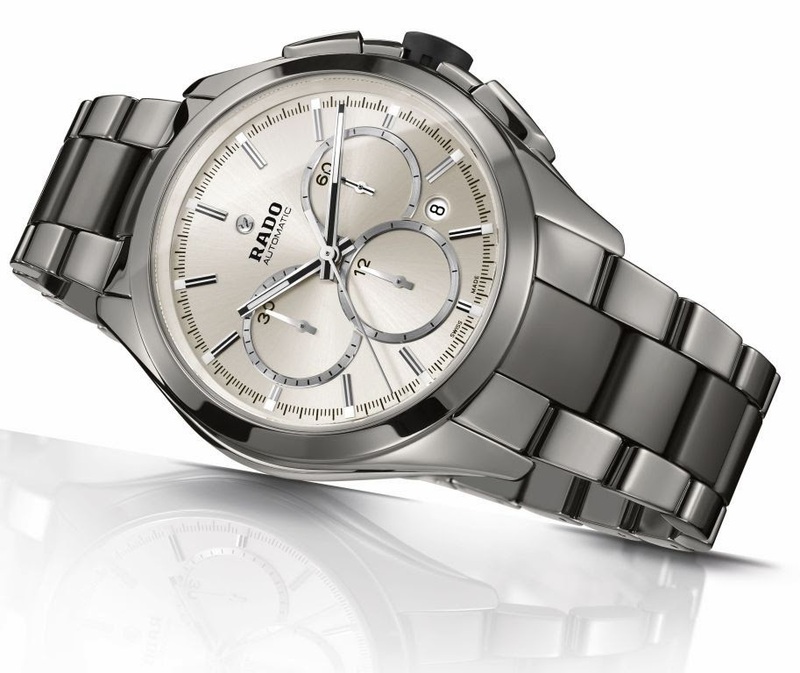 A perfect combination of technology, style and luxury the Rado HyperChrome Automatic Chronograph Plasma Ceramic is the perfect product to sum up the Rado DNA. The monobloc case, injected at high-pressure, is a groundbreaking construction. 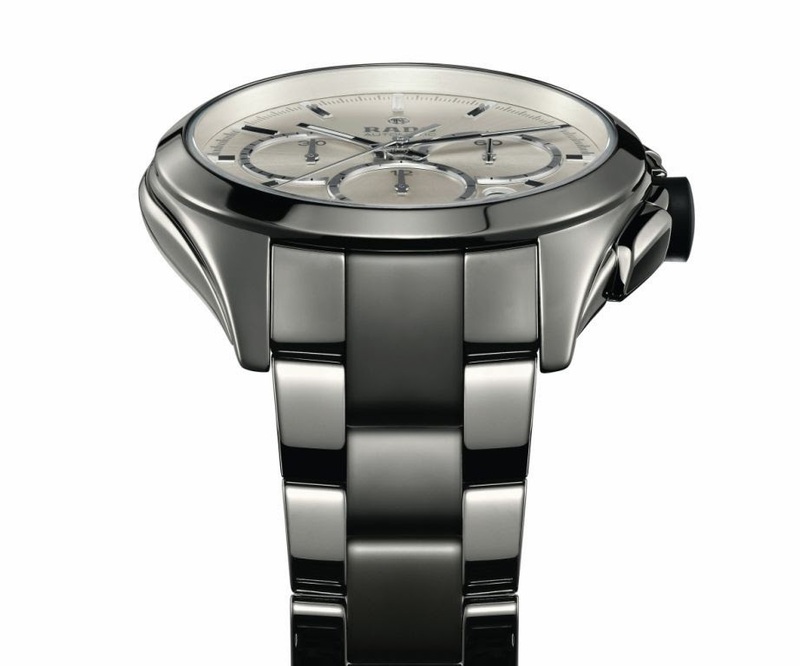 As a single piece of ceramic, it contains no steel cage as many ceramic timepieces do. This makes it lightweight as well as super scratch-resistant and comfortable to wear. The final monobloc piece goes into a special oven, where a plasma column activates gases at 20,000°C. These gases permeate the ceramic, permanently altering the composition of its surface and bringing out a brilliant metallic sheen that will never fade.